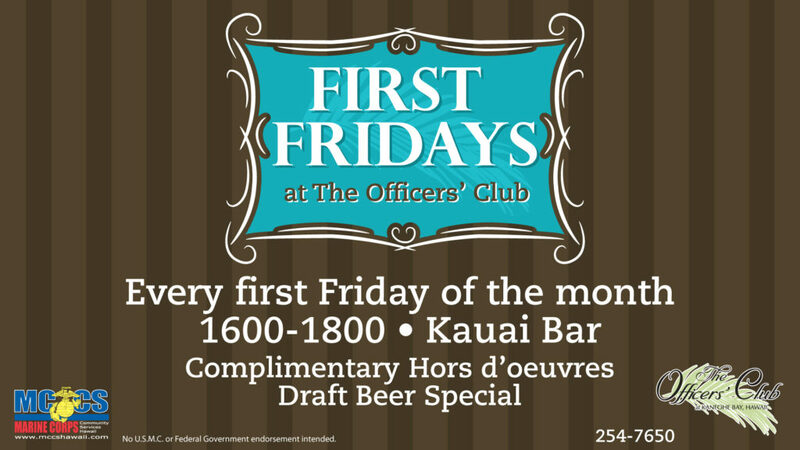 Join us every Friday for FIRST FRIDAYS! Complimentary hors d’oeuvres and draft beer specials! Open to Officers’ and civilian equivalents.